After two days of play, Estonia's Urmo Velvelt finished on top of the 80 players to win the 2016 888Live Tallinn $30,000 Guaranteed Main Event. Many notable players entered and exited the $440/€400 on Day 1 including 888poker Ambassador Kara Scott, Estonia's Maret Komarova, and PokerNews qualifier Cristian Placinta. Scott, who on top of playing in both the Main Event and the $5,000 Bounty Freeroll, loved Tallinn and particpated in both the welcome drinks and the city tour. "Tallinn is a beautiful city," shared Scott. "It's my first visit to Estonia and I've been excited to get here ever since the 888Live event was announced! For me, the format of playing a bit of poker somewhere new and interesting, while also getting to do some site seeing or group activities is perfect. Poker is a great way to travel! We had a city tour on one of the days, which meant we were able to listen to all the history of the city while also trying out some local delicacies like moose sausage, breakfast beer, and schnapps." Despite no success on the felts, Scott also enjoying the action. "I had a lot of fun in the main tournament although I was out fairly quickly. I played in the freeroll bounty event as well and that's always a bit of fun." Scott explained. "It's a turbo but the prizes are good, so although everyone is laughing and having a good time, they also have one very serious eye on taking the top spot with added money." Cash Game Festival co-founder Martin "Franke" von Zweigbergk was the first player eliminated on Day 2 after his was unable to outflip Rauno Tahvonen's after a king spiked the flop. Tahvonen, however, was also unable to make it to the final table and eventually exited the tournament in 16th place. 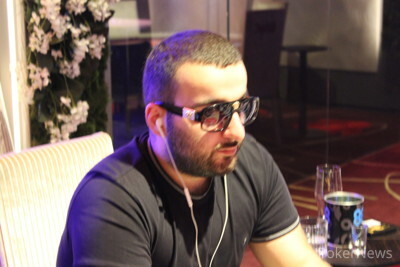 Also out early was another Cash Game Festival co-founder Enri Orav, who began Day 2 in second place. 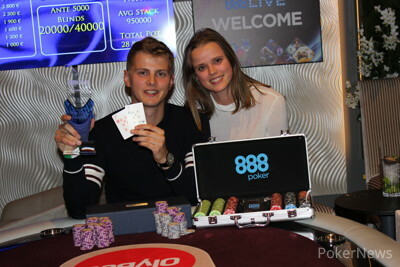 However, the Cash Game Festival co-founders did have reason to celebrate as they announced that 888poker is going to sponsor their second stop in London this year at Aspers Casino Westfield Stratford City from September 28 to October 2. The final table was reached after Andrey Belokopytov was eliminated in tenth place when his was unable to hold against Kristjan Rausberg's . However, Belokopytov didn't walk away empty handed as 888poker awarded him a GoPro for being eliminated on the official bubble. Fredrik Zitting (9th - €1,300) and Dmitri Gaškov (8th - €1,600) were both eliminated within 10 minutes of the final table beginning. 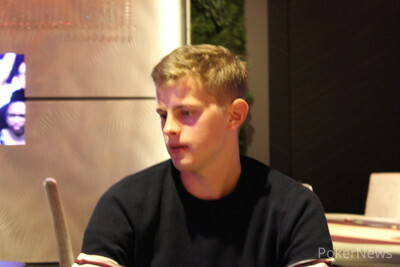 However, after this it was an hour before the next players were eliminated with Dennis Lindmark (7th - €1,600) losing a flip when his was unable to beat Eduard Kruglov's and Vjacheslav Kovaljov (6th - €1,900) exiting when his was unable to outgun Viacheslav Novoselov's . Another hour went by when Viacheslav Novoselov, who was low on chips, went out in fifth place for €2,300 when his was unable to improve against the held by Kristjan Rausberg. Rausberg was the next to exit in fourth place for €2,800, after he found himself low on chips and got it in with against two players holding high pocket pairs. At this point, the action went back and forth for awhile before Eduard Kruglov was eliminated in third place for €3,800 when his didn't get there against Urmo Velvelt who was holding . Heads-up play began fast and furious with both Urmo Velvelt and Sergei Oganesjan starting about even in chip stacks. It didn't stay that way for long, as the duo was all-in. Velvelt with was able to pair up and win the hand against Oganesjan who held after the board ran out . Not too long after that, Velvelt eliminated Oganesjan when his was able to hold against Oganesjan's . Velvelt shared that he was really happy about the win. He also credited the winning when slightly behind and then shared, "I got really lucky and all my flips held." This rounds up the PokerNews coverage of the 888Live Tallinn $30,000 Guaranteed Main Event. Sergei Oganesjan went all-in for his remaining five big blinds with against Urmo Velvlt's . 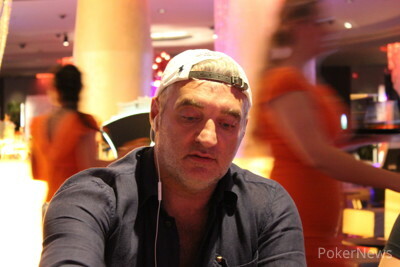 The board ran out to eliminated Oganesjan in second place for €5,200. 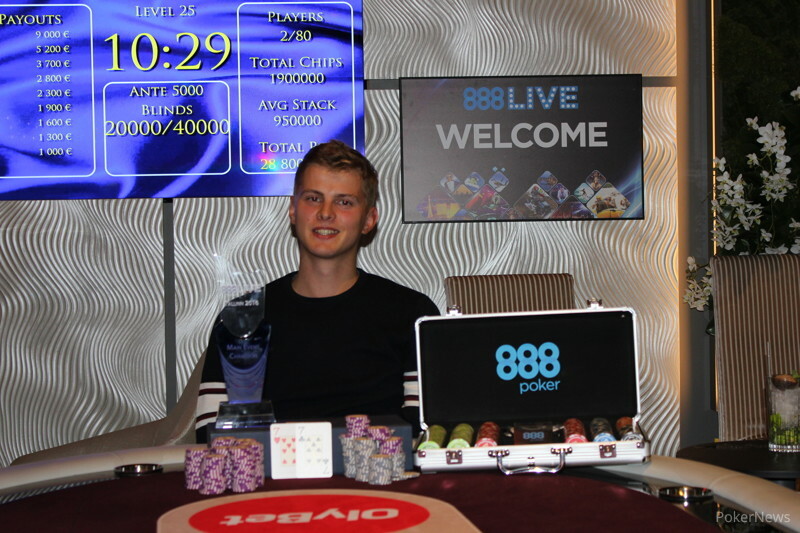 Urmo Velvelt was crowned the winner of the 2016 888Live Tallinn $30,000 Guaranteed Main Event to win the trophy and the top prize of €9,000. A full recap of the two day's of action will be coming shortly. A few hands after heads-up play began, Urmo Velvet doubled when his outraced Sergei Oganesjan's when the board ran out . The duo is competing for the top prize of €9,000 with second place being awarded €5,200. After some small pots with chips going back and forth, Eduard Kruglov's day just ended after he raised all-in with and was called by Urmo Velvelt, who was holding . Kruglov, eliminated in third place, collected €3,700. Urmo Velvelt went all in from the small blind and Eduard Kruglov called for his remaining 305,000 from the big blind. Velvelt's advantage was quickly eliminated when he flopped top pair on the board. The turn and river were of no help to Velvelt who doubled up. The hands for the first 12 minutes have all been taken down preflop or a limped pot to the flop with a quick and cheap takedown.